Hygiene is also an important component for jelly and gum manufacturing equipment. 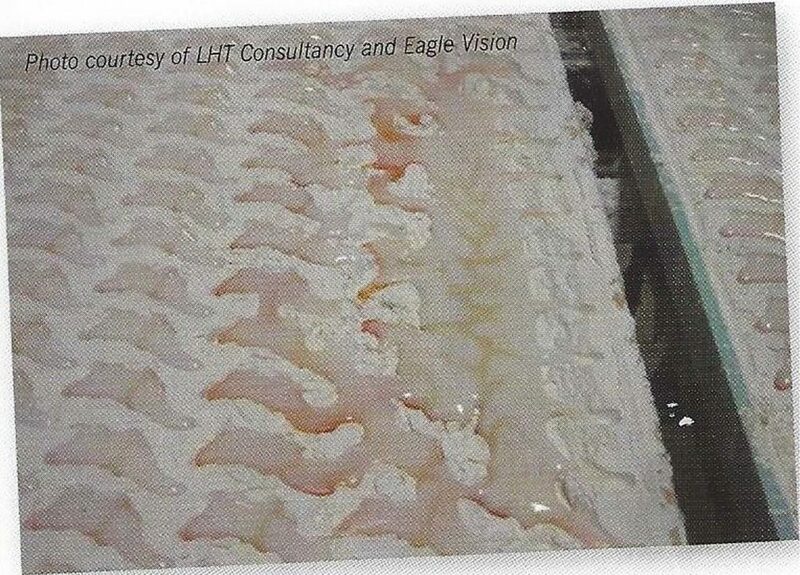 LHT Consultancy and Eagle Vision collaborated to design a solution to problems caused by poorly filled starch trays on a starch moulding line. The DVT System is the first of the company’s designs to be available as a solution to this issue. According to the companies, 1-5% of trays should not be deposited and cause a loss of efficiency and quality due to problems such as poorly filled trays, poor quality imprints, a missing model in the mould board and residual product sticking in the new filled and printed tray. The DVT System is designed to detect problems immediately after the printer table. The production trays are typically 1200 x 400 mm or 820 x 400. After confirmation by the operator, the DVT System stores automatically an image of a “good” production tray under a recipe name given by the operator. Many recipe images can be stored in the system. Missing plaster/aluminium moulds are detected and the machine will stop before the trays are being stacked to remove the plaster or aluminium mould. Also trays that have visible contamination will be detected and if available ejected. With an optional extra camera near the turntable or tipper arms, the empty trays can be inspected if jelly is on the base of the tray. The image of each passing tray is compared to the “good” one. The tray will not be filled with starch and can be removed from the system or with a tray eject system.